First Lady Melania Trump says she supports survivors of sexual assault and thinks they “need to be heard,” but also asserts that they must have “really hard evidence” to support their accusations. 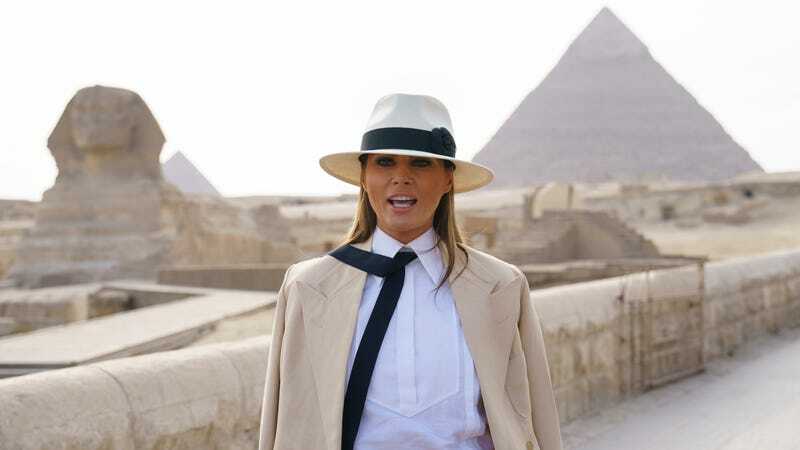 Good Morning America aired a segment of an upcoming ABC special that follows Melania on her jaunt through Africa. During a sit-down interview with ABC’s Tom Llamas, Melania attempted to advocate for survivors, but made it clear that her support is conditional. LLAMAS: What is your take about the #MeToo Movement, though? Do you believe in them? Do you support the #MeToo Movement? MELANIA: I support the women and they need to be heard. We need to support them, and also men, not just women. LLAMAS: Do you think men in the news that have been accused of sexual assault, sexual harassment, have been treated unfairly? MELANIA: You need to have really hard evidence. If you accuse [someone] of something, show the evidence. LLAMAS: Someone might hear that and say, “How could you say that Mrs. Trump? You need to stand with women.” What would you say? MELANIA: I do stand with women. But we need to show the evidence. You cannot just say to somebody “I was sexually assaulted” or “you did that to me” because sometimes the media goes too far. And the way they portray some stories is not correct, it’s not right. The strange, last-minute veer into fake-news territory aside, Melania seems uncaring of the fact that most sexual assaults are impossible to corroborate by traditional means of evidence gathering. The expectation of the kind of proof that unravels like an episode of Law and Order: Special Victims Unit silences survivors who worry their truth will never be sufficient. There’s a difference between being heard and being listened to. When it comes to survivors making accusations—whether against Kavanaugh or her own husband—Melania seems pretty comfortable with that differentiation.